Matthew is a research fellow working with Stuart Davies. Matthew has a background in wildlife ecology and food web ecology with a regional focus in Southeast Asia. His research explores the cascading effects of forest disturbances (fragmentation, hunting) on the interactions between wildlife and tree communities. This work leverages long-term data on tropical trees communities from several Asian ForestGEO plots. 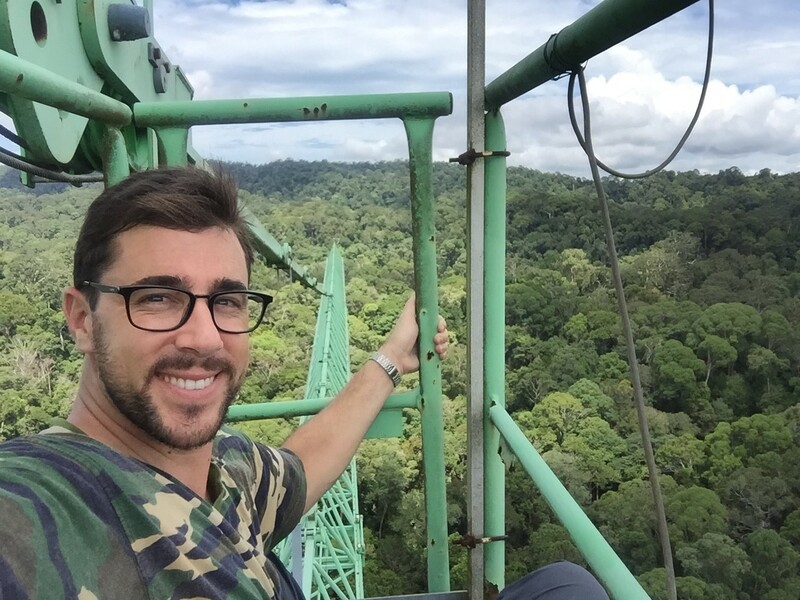 Matthew's field program focuses on replicated camera trapping and small mammal trapping at the ForestGEO plots at Pasoh (Peninsular Malaysia), Lambir Hills (Borneo), Khao Chong (Thailand), and he will expand these protocols to Danum Valley (Borneo) and Bukit Timah (Singapore) in 2019. Matthew is based at the Asian School of the Environment, Nanyang Technological University (Singapore).